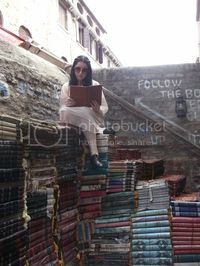 Blurb: Seventeen-year-old Twylla lives in the castle. But although she’s engaged to the prince, Twylla isn’t exactly a member of the court. Melinda Salisbury lives by the sea, somewhere in the south of England. As a child she genuinely thought Roald Dahl’s Matilda was her biography, in part helped by her grandfather often mistakenly calling her Matilda, and the local library having a pretty cavalier attitude to the books she borrowed. Sadly she never manifested telekinetic powers. She likes to travel, and have adventures. 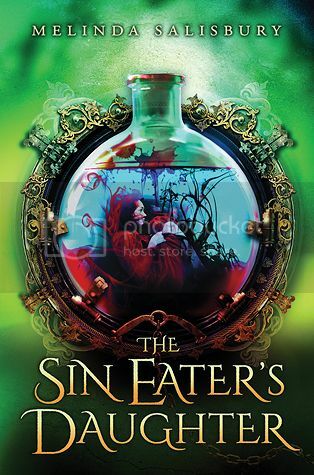 She also likes medieval castles, non-medieval aquariums, Richard III, and all things Scandinavian The Sin Eater's Daughter is her first novel. 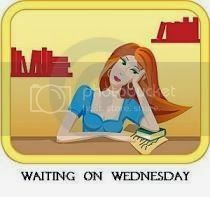 She can be found on Twitter at @AHintofMystery, though be warned, she tweets often. Wow, this cover!!! And how amazing does it sound. I hadn't heard of it before, but I'm immediately adding it to my TBR. Thanks so much for sharing!! I know, right? I would buy the book on the cover alone. I love the sound of it, though, so I can't wait to read it! Thanks for stopping by! The Sin Eater's Daughter has such a pretty cover indeed. I have cover love for that book. Plus it sounds really good. Excellent WOW pick. Absolutely. More like COVER LUST! LOL! Thanks for stopping by, Grace! I just love the sound of this, and im totally impatient to read it. Great pick! There's quite a lot of hype surrounding this book. Love the absolutely beautiful cover! I hope the hype is worth it. I've seen and heard good things. Thanks for stopping by! Everyone I know who has read it has liked it so far. I can't wait to read it! Thanks for stopping by! I keep seeing this one around, the cover is absolutely stunning! Seen a few good remarks about it on IG too... may have to add this to my list! Ooh this book is giving me the shivers. The good kind. I love the sound and that cover! Gorgeous! Yes! Me, too! Thanks for stopping by! I just got approved for the egalley of this, can't wait to read it! Great pick! I am hoping to get approved. I do have a friend who offered it to me after she's done, but not sure how I'd get it. Comes out soon, anyway! Me, too, Michelle! Have a great day! Thanks for stopping by! Oh this does sound great and I love the cover!! The cover is so great, I want to touch it! Thanks for stopping by! That actually sounds really good! I can't wait until I see more reviews of it though, I'm trying not to buy too much this year. Thanks for sharing! Too bad the ARC doesn't have the cover! It's a page inside the book though. If you don't get the chance to read this one, I'll be giving my ARC at some point! :D I hope you love it when you read it! Yeah, I saw it's a similar color and has a quote on it but it's not the actual cover. Thanks for stopping by! Great pick! I absolutely love the cover and the blurb is just as enticing. I preordered this one. I agree, to both. I didn't pre-order, but perhaps I should! LOL! Thanks for stopping by, Marni! I love the cover so much! Thanks for stopping by! OU! Sounds awesome! I'll have to check it out! Yes, I love how it sounds, I hope I can get a copy! Thanks for stopping by!